Paris guilty of reverse domain name hijacking, ordered to pay over $100,000. A U.S. federal district court has ordered Ville de Paris (City of Paris) to pay $100,000 for reverse domain name hijacking and tortious interference. Judge Melinda Harmon also ordered the city to pay $26,830 in attorney’s fees and costs. The judgment stems from a UDRP the city of Paris filed against the owner of Parvi.org in 2009. In that case, panelist Andrew Christie decided to give the domain name to Paris despite determining that the domain name was not originally registered in bad faith. The domain owner sued to stop the transfer. His lawsuit asked for a determination that he wasn’t cybersquatting and that Paris was attempting reverse domain name hijacking. The judge entered a default judgment against Ville de Paris. She issued the final judgment with damages on Friday. This is the second Texas court I’m aware of that has awarded six figure damages for reverse domain name hijacking. Will Parvi.org’s owner ever collect the judgment? It won’t be easy. But keep in mind that the defendant here is applying for the .paris top level domain name. It won’t be disqualified from getting the TLD just because it’s guilty of reverse domain name hijacking (the guidebook allows three such rulings before you’re disqualified). But it’s possible .paris will be an asset in the United States, which might give Parvi.org’s owner something to go after. The plaintiff’s attorneys in the case were Travis Crabtree, Paul Keating, and John Berryhill. Paris may face damages in reverse domain name hijacking case. A Texas district court has filed an entry of default against Ville de Paris in a domain name squabble. The case involves Parvi.org. The city of Paris won a UDRP case for the domain name in 2009. When Paris filed the complaint it agreed to jurisdiction in Texas for matters stemming from the dispute. Domain owner Jeffrey Walter took advantage of the jurisdiction, filing a lawsuit against Paris in U.S. District Court in Texas. Among his claims: reverse domain name hijacking, tortious interference, and conversion. As Ville de Paris has done many times after challenging U.S. domain owners, it went AWOL as soon as it was challenged in U.S. court. So now there’s a default judgment against Paris in a Texas court. The court has scheduled a hearing on September 14 to determine damages. It’s worth noting that another Texas court awarded $100,000 in damages when DigiMedia won a reverse domain name hijacking case. Could Walter ever collect a judgment? It would be tough. But it’s worth noting that Ville de Paris is trying to enter into a contract with a U.S. company for the rights to run .paris. French cyberbullies step up attack. Ville de Paris — the City of Paris — is continuing its multi-prong attack on domain name owners by filing a lawsuit against the owner of Paris.org, this time in French Court. The owner has had the domain name since 1995. The move to Paris is another attempt to find some sort of venue that will give the city exclusive rights to use “Paris” in a domain name. But it’s not a guaranteed win for the city. In fact, it previously lost a trademark case in France and was fined as a result. Perhaps it’s time to start a new series on Domain Name Wire. I’ll dub it Paris: Ville de Trademark Fools. 2006-2007: City of Paris sends threatening cease and desist letters to owners of domain names with Paris in them, including Paris.com and Paris.tv. Owners of Paris.com and Paris.tv file suit against Paris in American court. Paris runs away and claims lack of jurisdiction. September 2009: Paris tries its hand at UDRP, filing cases against owners of WifiParis.com, Wifi-Paris.com, and Parvi.org (Parvi is the name of Paris’ municipal wifi project). It loses the Wifi cases, but wins Parvi.org in a disturbing decision. December 2009: Because Paris agreed to U.S. jurisdiction when it filed the UDRPs, the owner of Parvi.org sues Ville de Paris in Texas court. Then, after running away from the Paris.tv lawsuit years earlier, Paris files a UDRP against Paris.tv. 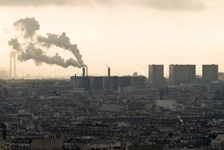 Finally, Ville de Paris takes its case to French court by suing the owner of Paris.org. 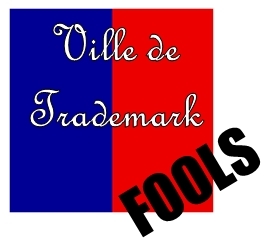 Stay tuned to Domain Name Wire for updates on Paris: Ville de Trademark Fools. Is Paris a Model for New Internet Governance? Let’s Hope Not. City of Paris can’t hide behind jurisdiction forever. The not-so-pretty side of Paris. For years, the City of Paris (Ville de Paris) has been waging a war on U.S. domain name owners. It has threatened owners of many domains, including Paris.com and Paris.tv, asserting exclusive rights to any domain that includes “Paris” in it. More recently, it filed for domain name arbitration under UDRP against owners of several domain names, including WifiParis.com. The verdict on WifiParis.com just came in, and Paris lost. Beyond losing the instant case, Paris’ decision to file UDRP cases may have been a self-destructive move. Paris goes after Paris.com and Paris.tv. To understand why Paris’ UDRP filings will cause a ripple, it’s important to understand the history. For years, Paris has been sending out cease & desist letters in an attempt to bully domain owners into handing over their Paris related domains. A couple times the domain owners fought back. The owner of Paris.com filed a suit against Ville de Paris in US District Court in the Southern District of New York (where the registrar for the domain was located). And the owner of Paris.tv filed a suit in Virginia, were .tv registry VeriSign is located. In both instances, Paris went silent after being sued. It rarely responded to lawyers’ correspondence. It also argued that it wasn’t subject to U.S. jurisdiction. In some ways, the strategy worked because nothing ever came of it. The UDRPs. Fast forward to Paris’ recent use of UDRP to try to get the domain names Parvi.org, WifiParis.com, and Wifi-Paris.com. Paris won its case for Parvi.org in a disturbing decision where panelist Andrew Christie decided to ignore ten years of precedent and the actual language of UDRP regarding registration and use in bad faith. The Complainant’s behavior, in larger context, deserves discussion the decision. The Complainant has demonstrated, through its larger campaign, of which this dispute is a minor part that, like all bullies, the Complainant is a coward. The Complainant expresses pique that the Respondent did not respond to its correspondence. The Respondent was in fact specifically advised not to respond to that correspondence, and that advice was given for a reason. Berryhill goes on to explain the previous cases for Paris.com and Paris.tv. Because Paris stopped replying to correspondence in those cases, Berryhill advised his client to not respond to demands for WifiParis.com. (Berryhill was also the attorney for the owner of Paris.tv.) In the case he also notes that Ville de Paris even lost a trademark case in French courts, and was fined for its actions. Jurisdiction rears its ugly head. 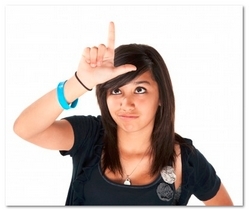 So Paris won one UDRP and lost another. It’s 1-1. Right? Well, remember something interesting about jurisdiction in UDRP disputes. When you file a dispute, you agree to jurisdiction for any future lawsuits over the UDRP-related matter in either the registrant’s jurisdiction or the registrar’s location. By filing a UDRPs for Parvi.org, Ville de Paris’ attorney signed a statement saying it was subject to jurisdiction where the registrar was — Texas. In the WifiParis.com case, it agreed to jurisdiction in Washington. After years or dodging U.S. jurisdiction, it has signed documents agreeing that it will be subject to jurisdiction in multiple U.S. locations. Ville de Paris is sued, again. The owner of Parvi.org, Jeffrey Walter, is taking advantage of that. He filed a lawsuit (pdf) against Ville de Paris in United States District Court, Southern District of Texas. He’s suing for declaratory relief under the Lanham Act for Reverse Domain Name Hijacking, tortious interference with contract and economic advantage, and conversion. Paris has been threatening Walter for years, according to the lawsuit. In one of its correspondences to Walter, it said it understood that Walter had not registered the domain name to create any confusion. This is at odds with Paris’ sworn arguments in the UDRP that claimed Walter had registered and used the domain name in bad faith. Will Ville de Paris show up to defend itself this time? After all, its lawyer did sign a document saying it submitted to mutual jurisdiction in Texas. It’s also on the hook in Washington state, should WifiParis.com’s owner decide to sue. Paris not stopping, yet. Here’s the kicker. Remember that dispute where Paris threatened the owner of Paris.tv, only to run away after it was sued? Ville de Paris just filed another UDRP case. For Paris.tv.